This Physician’s Weekly feature covering the management of common diabetes comorbidities was completed in cooperation with the experts at the American Diabetes Association. In keeping with patient-centered approaches to care, physicians should be aware of the wide spectrum of comorbidities their patients face when managing them throughout their disease course. 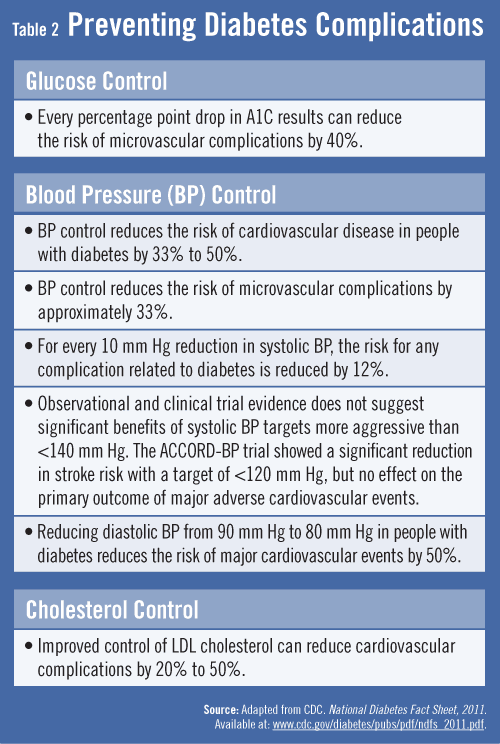 When the risk for these comorbidities is elevated, patients should be treated accordingly. The American Diabetes Association reports that some of the more common comorbidities outside the realm of obesity, hypertension, and dyslipidemia include obstructive sleep apnea (OSA), fatty liver disease, cancer, and fractures (Table 1). “Clinicians should consider these other comorbidities during their care of patients with diabetes to optimize outcomes,” says Dr. Munshi. Some patients with type 2 diabetes may have unexplained elevated levels of hepatic transaminase concentrations, which in turn can lead to fatty liver disease. Prospective analyses have shown that diabetes has been associated with incident non-alcoholic chronic liver disease and with hepatocellular carcinoma. “In these cases, improving metabolic abnormalities can be beneficial,” says Dr. Munshi. This includes weight loss, glycemic control, and treatment with specific drugs for hyperglycemia or dyslipidemia (Table 2). Other common comorbidities commonly seen in type 2 diabetes are continuing to be evaluated. For example, diabetes has been associated with significantly increased risks for cognitive decline, cognitive impairment, and all-cause dementia. The effects of hyperglycemia and insulin on the brain are areas of intense research interest. Hearing impairment is also more common in people with diabetes, perhaps due to neuropathy and/or vascular disease. Testosterone levels in men with diabetes tend to be lower than those without the disease, and periodontal disease is more severe, but not necessarily more prevalent, in patients with diabetes than those without. American Diabetes Association. Standards of Medical Care in Diabetes—2012. Diabetes Care. 2011;35:S11-S63. Available at: http://care.diabetesjournals.org/content/35/Supplement_1/S11.full. Bainbridge KE, Hoffman HJ, Cowie CC. Diabetes and hearing impairment in the United States: audiometric evidence from the National Health and Nutrition Examination Survey, 1999 to 2004. Ann Intern Med. 2008;149:1-10. Li C, Ford ES, Zhao G, et al. Prevalence of self-reported clinically diagnosed sleep apnea according to obesity status in men and women: National Health and Nutrition Examination Survey, 2005-2006. Prev Med. 2010;51:18-23. El-Serag HB, Tran T, Everhart JE. Diabetes increases the risk of chronic liver disease and hepatocellular carcinoma. Gastroenterology. 2004;126:460-468. Dhindsa S, Miller MG, McWhirter CL, et al. Testosterone concentrations in diabetic and nondiabetic obese men. Diabetes Care. 2010;33:1186-1192. Darré L, Vergnes JN, Gourdy P, SixouM. Efficacy of periodontal treatment on glycaemic control in diabetic patients: A meta-analysis of interventional studies. Diabetes Metab. 2008;34:497-506. Suh S, Kim KW. Diabetes and cancer: is diabetes causally related to cancer? Diabetes Metab J. 2011;35:193-198. Yamamoto M, Yamaguchi T, Yamauchi M, et al. Diabetic patients have an increased risk of vertebral fractures independent of BMD or diabetic complications. J Bone Miner Res. 2009;24:702-709. Launer LJ, Miller ME, Williamson JD, et al. Effects of intensive glucose lowering on brain structure and function in people with type 2 diabetes (ACCORD MIND): a randomised open-label substudy. Lancet Neurol. 2011;10:969-977. Medha N. Munshi, MD, has indicated to Physician’s Weekly that she has received grants/research aid from sanofi-aventis. I read the article in AARP “In the Dark About Diabetes”. I would like to address my primary physician with some pertinent information pertaining to the article. I am 75 years old with diabetes II. My physician has been with me Since 1985. I currently take ten medications daily. 3 for diabetes, , 5 for high blood pressure, 1 for cholesterol, 1 for acid reflex. His comments are your doing fine do not change anything. My best and most beneficial recourse?? ?